A private group of real estate partners owned a large parcel of land totaling 798 acres located at a rural-urban interface south of the city of Gaffney in Cherokee County, South Carolina. Due to the property’s natural resources, it had the potential to be developed as an income-generating operational mine. The property also had considerable conservation value. It surrounds Minkum Creek and two of its tributaries, which feed into the Broad River watershed of the Santee-Piedmont Ecobasin. Notably, less than four percent of the ecobasin, the largest in the state, is protected from development, and protection of this parcel would enhance the area’s conservation of the watershed. 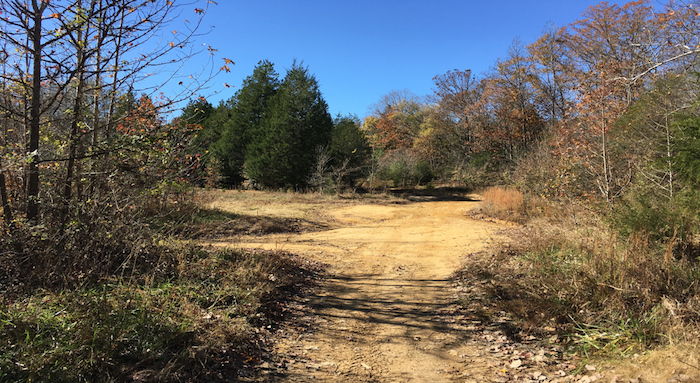 Permanently preserving this property would also prevent further damage to the land, previously used as an off-road vehicle park, which had suffered from soil erosion and degradation due to an improperly planned forest harvest. The real estate partnership that owned the land enlisted the help of Heritage Preservation Trust, a South Carolina-based land trust with a mission to preserve and protect “America’s natural and historical resources for the benefit of present and future generations.” The land trust conducted a comprehensive review of the property and confirmed its conservation importance. Together, the real estate partnership and Heritage Preservation Trust formulated a plan and negotiated the terms of the easement, which focused on conserving the property in perpetuity and restoring it to its natural state. The easement also provided for the implementation of land management plans that would restore the property to a more pristine condition than when conserved, manage timber via natural re-generation and prescribed controlled burns, manage the property to provide ideal habitat for wildlife, and open the parcel to the public for hunting and outdoor recreation. This successful conservation effort would not have been possible without private individuals actively pursuing new opportunities to preserve and protect valuable land resources. Ultimately, their work led to an environmentally important tract of land being conserved for future generations, a win for South Carolinians and the broader conservation community as a whole. This successful conservation effort would not have been possible without private individuals actively pursuing new opportunities to preserve and protect valuable land resources.